Imagine a world with smooth-flowing traffic, cleaner vehicles and no accidents – the connected car will help to make this a reality in the future. Connected vehicles are here to enhance our customers’ lives and their driving experience. Connectivity makes our revolution possible – and the possibilities it opens up are virtually limitless. Smart, connected cars communicating with each other and the road take human error out of the equation. Connectivity enables us to be a customer-first business in all kinds of new ways. They are designed to get people to their destinations as quickly and as safely as possible. Our vehicles won’t just get you from A to B. Technology and connectivity are the passport to a whole world of useful services. 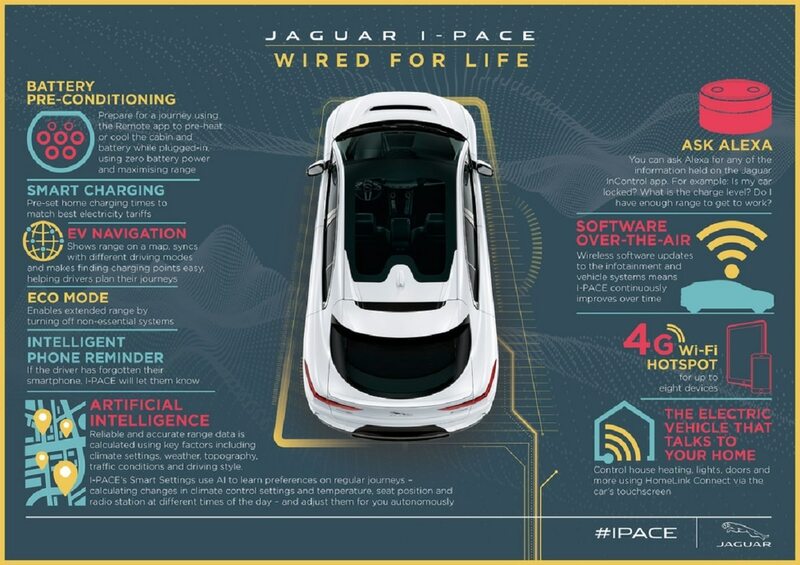 Inside the car, a digital butler will tailor the environment to our customers’ personal preferences, making every journey a safer, less stressful, more entertaining and satisfying experience. Telematics features enable remote engine starting to warm up your vehicle, saving time and enhancing comfort. Breakdown in an unfamiliar place? The touch of a button will let us know your location, diagnose the fault and send help to fix it. Our in-house developed apps enable everything from ordering a Starbucks to seamless music and entertainment experiences. We’ve even created the industry’s first automated fuel payment system. Apple, Google, Spotify and Amazon have all collaborated with us to create bespoke services. Remember how Smart Phones revolutionised the mobile phone industry? This kind of transformation is happening in automotive. Some of the software development talent behind it now works for us. But the strength of our team is its diversity. Skills can be taught. Vision and imagination are more difficult to come by. It’s the different backgrounds, approaches and perspectives at work that will realise our ambition. As well as Software Developers, we need creative customer-first minds to be Product Owners. You’ll be the customer’s voice in the process influencing everything from user interfaces to look and feel. Joining you will be experts in architecture, digital configuration, integration, validation – people who look beyond testing to diagnose the source of the problem. Come with the right attitude and aptitude, ambition and an open mind and we’ll fill it with opportunities to learn and grow.